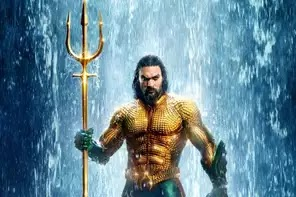 The film, made by DC Comics, the most fascinated character Aquaman, is in the news from social media, all the time. The film first came into discussion due to its tremendous trailer, but suddenly when the release date of the film came to light, Shah Rukh Khan's fans were quite nervous. Actually, the film was to be released in India on the release date of Shahrukh's film 'Zero' but now it has been released before the scheduled date. After which there is no big film on that day to hit Shah Rukh Khan's film. However, in the US this film will be released a week later. Aquaman Movie Review. If you talk about the story of the film, then this movie pauses all the beats from its strong start. The protector of America, a lighthouse named Thomas, delivers a very beautiful girl among the storms in the sea. And that girl is not Mallika Atalanta of Atlantis who has fled from her country and gets stuck in a severe storm. Now in the case of the maintenance of the lighthouse, that means that Thomas saved her, the relationship of love between both of them also stirred. In this relationship, a son Arthur is born. Arthur is not a modest child but a very special child who has the power to talk to the sea creatures. The film goes on and Suddenly Atalanta's father gets the news of where her daughter is. In this way, they send some soldiers to the lane to Atalya. Atalena goes with the soldiers to save her husband and child. Arthur's responsibility falls on the Vulco, which is the special adviser to Atalena. Vulco makes Arthur aware of Salman to make a fighter, and he hugging every special thing related to Salamander. But the story does not stop, the real story begins after Oram became the king of Atlantis. Oram, who is Arthur's stepfather, plans to start a war against the people of the earth due to the loss of sea due to the rising pollution on the earth. Which Salman's princess does not want to let me be complete and she comes to Arthur for help. Now the film is based on whether Arthur has failed his or her half-brother's wishes and if he does, then how? For this, it becomes a movie star. Director James Vaughn has brought this story related to the issue of pollution in a very interesting fashion on the screen of the cinema. Somewhere, their message is that if the landlords did not take this matter seriously, then Samardar would account for everything which can be very frightening.